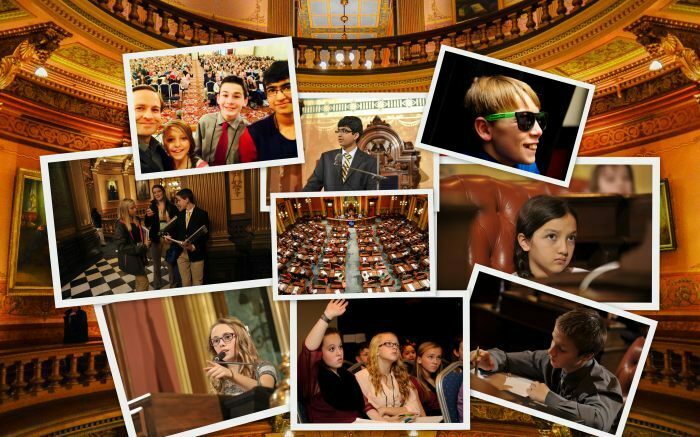 The YMCA Michigan Youth in Government program provides middle school students with an opportunity to become acting state legislators. During a three day and two night conference, they will work alongside other students to share ideas, develop their bills and grow as leaders. Youth in Government students are are given the use of the Michigan House and Senate Chambers along with the legislative committee rooms. However, not all students become part of the legislature. MYIG offers two additional programs through which students can explore their passions. The Contemporary Issues Forum, a debate, gives students the opportunity to research and debate some of the most heated issues of our time. This unique program teaches students how to think critically and debate their opinions in a respectful and thoughtful way. The third choice for our middle school participants is the Political Compromise Program. This is the newest of the middle school programs and is a truly inspirational process to observe. Students are given a single issue that faces the state. Be it vaccines, water rights, or stem cell research, the Political Compromise participants must represent one of three groups that have an interest in the topic, and together, reach a compromise in which no single group feels unhappy with the results.